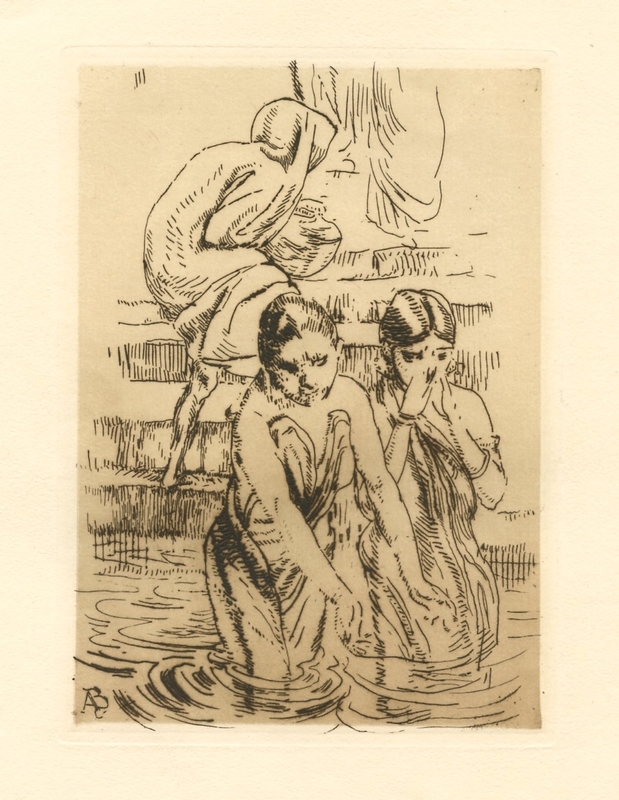 Albert Besnard original etching "Au bord du Gange a Benares"
Medium: original etching. Catalogue reference: Delteil 168. Printed in Paris and published in 1912 by the Revue de l'Art ancien et moderne. Plate size: 6 1/4 x 4 1/2 inches (168 x 115 mm). A rich, dark impression on laid paper. 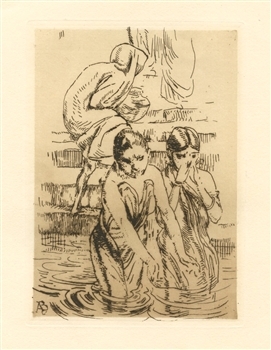 Signed by Albert Besnard in the plate, not by hand.